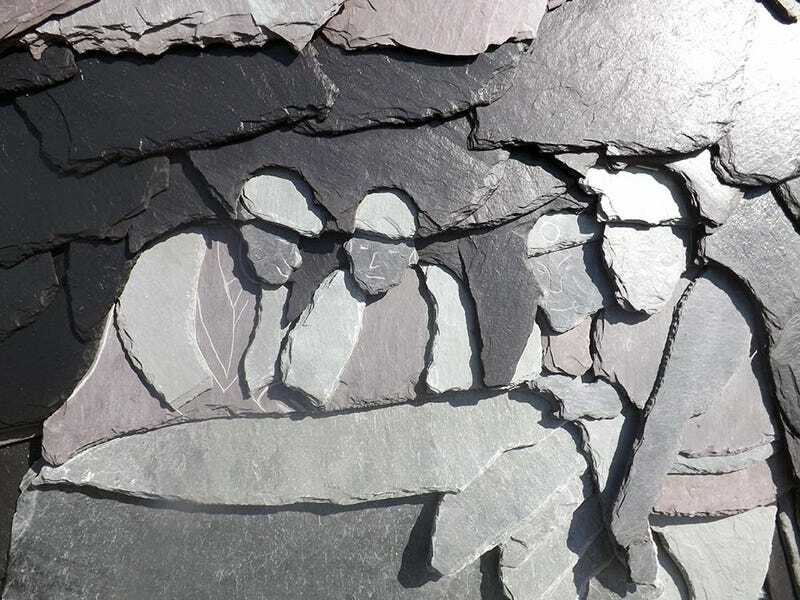 Our county council recently launched a bid to have the local slate landscape and industrial remnants recognised as a UNESCO World Heritage site. In the words of one Gwynedd politician at Llanberis “It is as important as the pyramids of Egypt.” A few folk might share that view in bendigedig Blaenau. Caernarfon and Conwy Castles already have this kind of historical recognition. They are great Norman fortress that have a fairytale appeal if you look at them on a bright day. The new bid calls for similar approval for miners cottages, quarries and pits created for the industrial age. There’s a hope that it will have a regenerating effect on prospects for this part of North Wales. So this week we have Gwyl Lechi - Culture Amidst Industry or the Bro Festiniog Slate Festival to the rest of us. From July 14 to 21 we have an assortment of activities, music, poetry, walks, film, exhibitions, art and more. I’ve signed up for a few including another trek to Cwmorthin. The festival was supposed to start with Llechwedd Quarry’s siren sounding across the valley. If it did I can’t say that I heard it. However, here was a procession down one of the old footpaths used by the quarrymen from Llechwedd. local kids marched with assorted banners to Diffwys Square. Once they arrived at the Square, Oakley Band played the premiere of a fanfare, especially composed for the festival by conductor John Glyn Jones and the percussionist Dr Dewi Ellis Jones. Again local children took the lead beating out a percussive rhythm using the kind of chisels used by slate miners. This led into a drum roll before the brass section of the Oakley Band added to the fanfare. There’s a nice thundery rumble in the early stages of this piece. Naturally, an encore was called for, so we were treated to a repeat performance. There was a little demonstration going on of how to split slate. How thin can you go? Very thin in some cases, though I suspect the chap from the Slate Caverns had done it before. Also on display in the Square were three friezes, all made out of slate, depicting life in one of the mines. They had a remarkably three dimensional quality about them, changing as the light did or when a cloud drifted over. I like the added chain on this one.